Focused on simplicity, myFFmpeg brings a fresh approach to use FFmpeg, to create ultra high quality movies without the need to write one single command-line code. Convert and processes many media files with high level quality using FFmpeg with no knowledge.Advanced users are not left out in the cold with lots of options to work with. 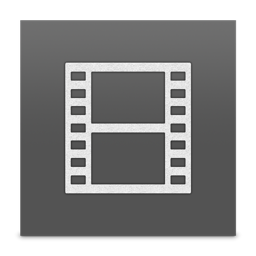 You can use all media formats supported by the installed FFmpeg version. Stitch unlimited files to one file. Two methods : Concat passthru (blistering fast) and Complex Filter. Both hardburn subtitles and soft subtitles are supported (External or Embedded). Encode up to 8 batch at the same time. Convert .png, .bmp, .jpg images to any movie format. Keep track of all FFmpeg output for debug errors. Drop files into a selected directory for automated processing. Make and manage your own user presets. Add as many audio streams, subtitles, video and audio filters. "Priced at just 20€,myFFmpeg is as affordable as it is powerful."